We are raising £300 to allow us to purchase new kit for our new players, as they currently are wearing their own random red tops. 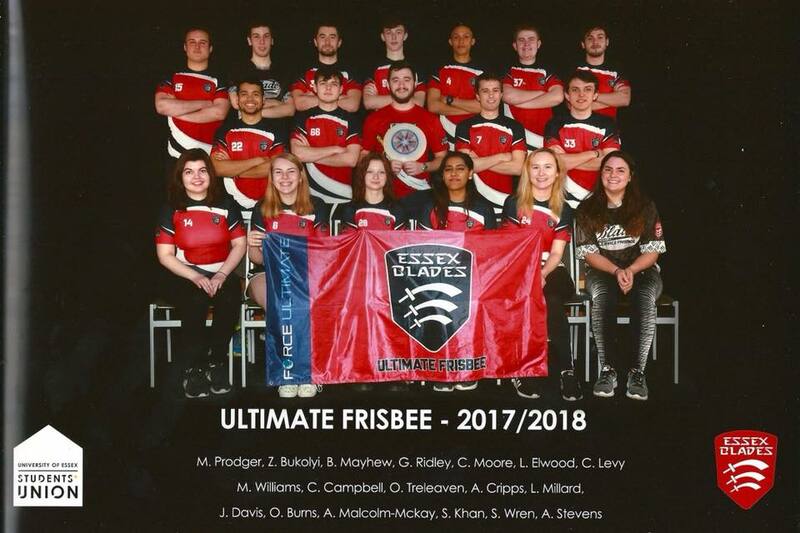 We are the University of Essex Student's Union Essex Blades Ultimate Frisbee Club. Lengthy title, we know! As most of our players graduated at the end of last year, with only a few of us oldies staying, the majority of our club is kitless! We have a dream, and that dream is for each time we represent the University we want to be matching - looking slick. 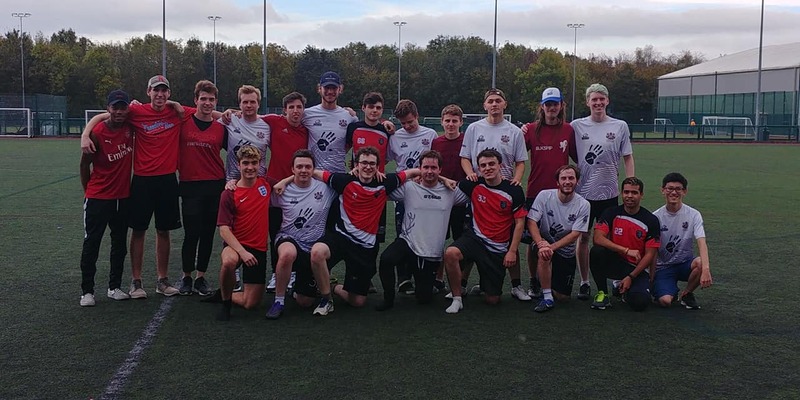 We feel that our presence would be greater if the average Joe could spot us and instantly recognise that we are a proper team, and not just more average Joe's. The money we raise will go primarily on purchasing kit. We would like to get unnamed kit tops, so they can be retained by the club; however, we will order named ones if a person donates extra! The cost of one of our tops is £27.89. If we manage to raise more than we need, then we would like to order more unnamed tops as spares, put money towards tournament fees, use for money for club development, and if we really raise loads then order some fresh new equipment. We will be offering some rewards to those that donate, with the higher you donate the better the reward! have a look at us! Here is our club photo from last year, showing off the new kit design! Here is our BUCS team after winning their first game of the season! As you can see, do not look as professional as we could with matching kit. Keep up to date by following our various accounts! This project will not be able to happen without your support! Whether you donate £1, £100, £1000, or simply share our project on Facebook, anything you can do to help us will go a long way. We would love it to get our project shared to thousands of people, so please ask your friends, families, postmen, nemesis, pets, to share, and even better, donate to help fund our kit!